Delta Upsilon came to us with a major challenge. 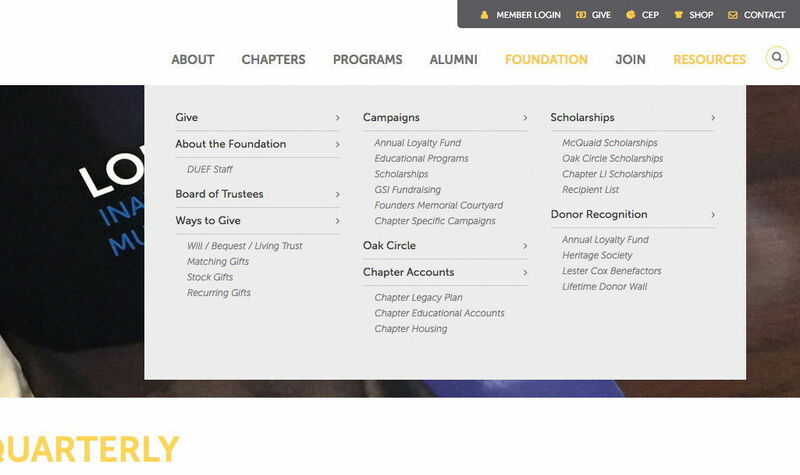 Their marketing agency, one that served many Greek organizations, had closed and Delta Upsilon had no one to help support their website. We engaged to support their website for a year, and then took on the challenge of planning and building a new world-class online presence. Like many Greek organizations, they faced the challenge of massive amounts of content to organize, in a way that is easy for users to navigate. We also undertook a complex development project, to build an integration with Raiser’s Edge, their membership management software, as well as creating other custom features for the website. This custom development project integrates Raiser’s Edge (RE) with their website CMS (Zephyr). The integration is one that many other Greek organizations may be able to use. A once a day sync between the website and RE pulls in data that has been updated in the last 24 hours. This integration drives key areas of the website, from Find a Chapter to Member Login and Reporting. 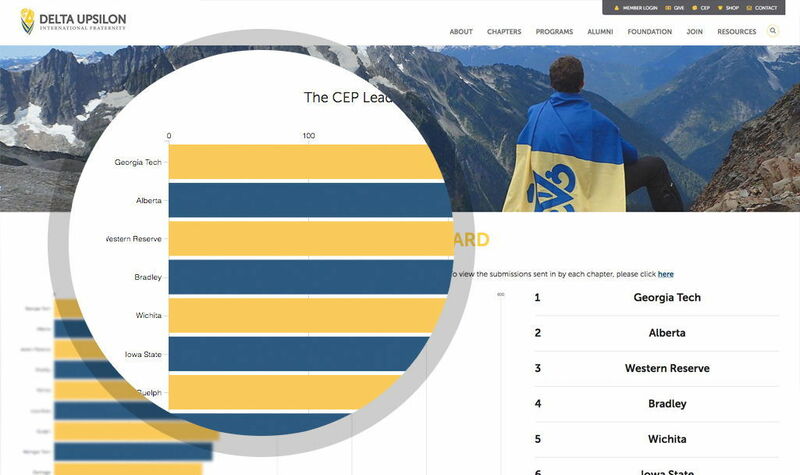 Custom module allows the CEP Leader Board to display the points chapters have received from approved submissions. The display can be viewed at a glance or by submissions sent in by each chapter. 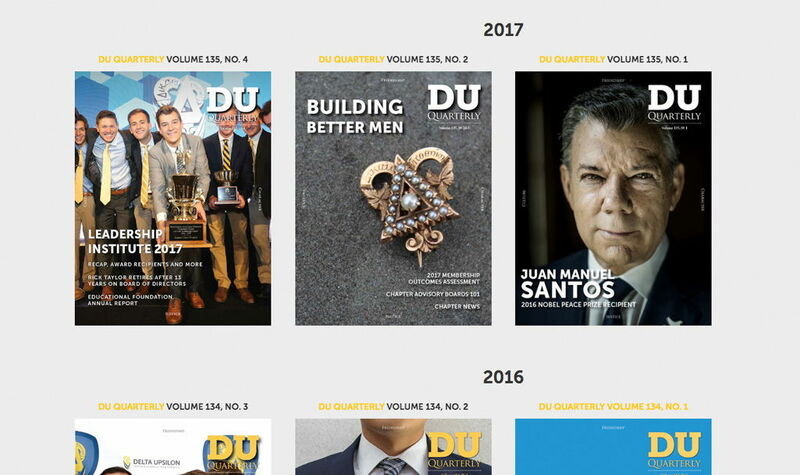 The Quarterly magazine is an important part of the Delta Upsilon’s website. They wanted a very customized look for this content, so users could easily read and digest the information on mobile or desktop, and not have to download or scroll through a PDF. 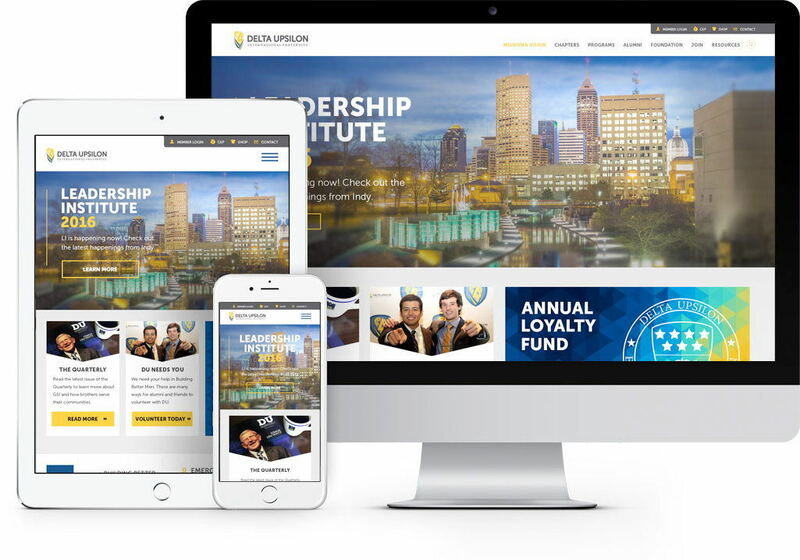 Part of the new website engagement was to combine the Foundation website with the new Fraternity website, to make a streamlined experience for users. Visit the website to see our work in action.